Tacked on as a postscript to a story regarding a Redlands restaurant swap (Papaya Bay moving into the old Mikan/Wild Rocket space, Pieology moving into Papaya Bay’s old location), we learned that Roberto Argentina announced Tuesday via Facebook that today (May 31) would be the last day of business for Farm Artisan Foods. Good luck getting a reservation. 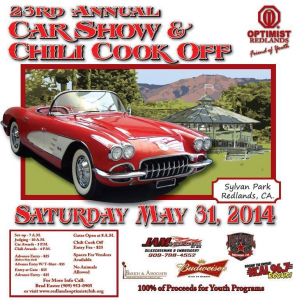 Head to Redlands’ Sylvan Park for the 23rd annual Optimist Car Show and Chili Cook-Off, or as we like to call it, the Optimist Chili Cook-Off and Car Show. Admission is just $3, and free for kids 12 and younger. You’ll find Ritual Brewing Co. in the beer garden. 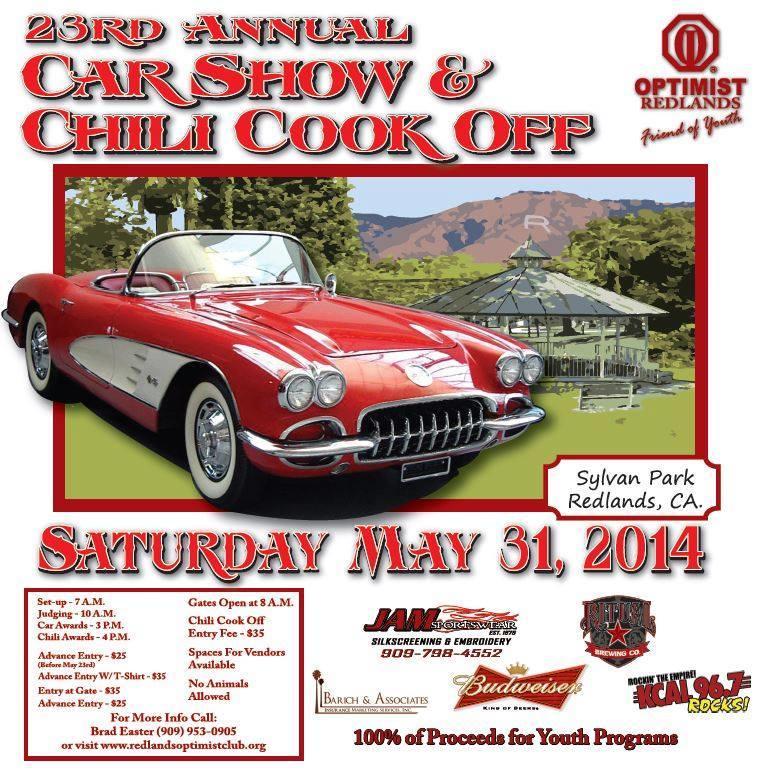 If you go, be sure to look for education reporter Beau Yarbrough, who will be competing in the chili cook-off. The event runs from 8 a.m. to 5 p.m. Proceeds benefit the Optimists’ philanthropic ventures. Click here for more information. Today for lunch, I had my first (and likely last) sandwich made by Guido Sciortino, soon-to-be former owner of Guido’s Pizza and Deli in Rancho Cucamonga. You see, Guido is retiring at the end of this month after 57 years of serving sandwiches and Italian delicacies. While I was in the shop, munching on a couple of slices of complimentary salami, Guido mentioned that in the last couple of weeks he has seen lots of people that he hasn’t seen in years come into the deli to wish him well in his retirement. Apparently, word has gotten around. Southern California McDonald’s restaurants have brewed up a new McCafé beverage and are offering buy-one-get-one free drinks to help promote it. The new drink — the Horchata Frappé — is made with vanilla, a hint of cinnamon and coffee, and topped with whipped cream and caramel drizzle. For a limited time, guests can get two Horchata Frappés (or any McCafé beverage) for the price of one during McCafé Social Hour, from 2 to 5 p.m. daily. For updates, follow McDonald’s SoCal on Twitter. 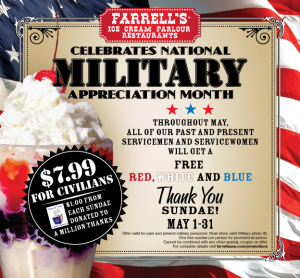 This month, military folks can get a free sundae at Farrell’s Ice Cream Parlour. Through May 31, the restaurant is celebrating National Military Appreciation Month by giving a free Red, White and Blue sundae to all current and former military personnel. 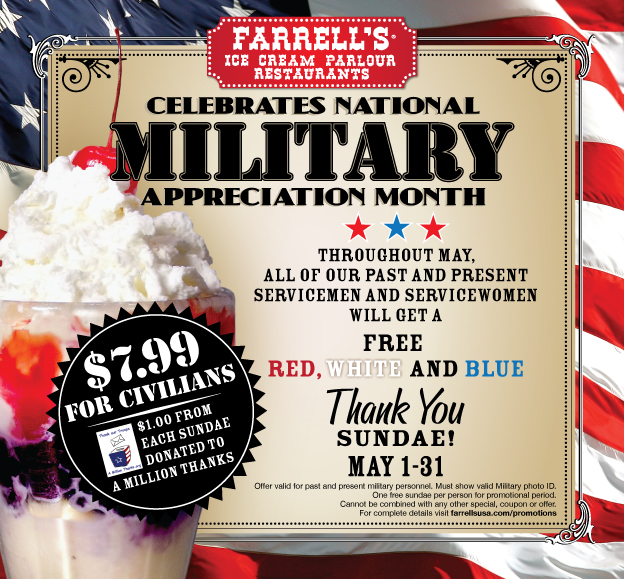 Civilians can purchase the sundae for $7.99 and Farrell’s will donate $1 to A Million Thanks, a nonprofit military support organization. Farrell’s Inland Empire locations are in Rancho Cucamonga (10742 Foothill Blvd.) 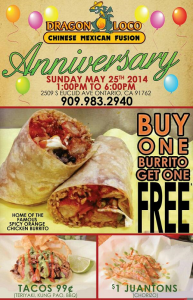 and Riverside (3610 Park Sierra Drive). 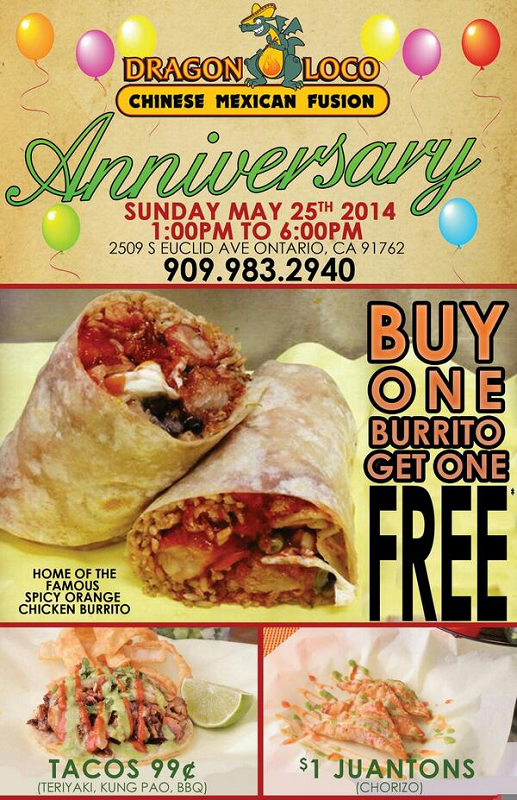 Congratulations to our friends from Pine Haven Cafe and Catering, who are celebrating the cafe’s two-year anniversary. However, it’s the cafe’s guests who are getting the presents as the restaurant is giving away a free short stack of pancakes to all from 7 a.m. to 3 p.m. Saturday (May 17). Congratulations to Rancho Cucamonga’s Suite 106 Cupcakery. The two-time Cupcake Wars-winning bakery was recently included in a list of the top 101 cupcakes in America, according to The Daily Meal. Hitting the list at No. 31, it’s the highest-rated cupcakery in Southern California, beating out Palm Springs’ Over the Rainbow Cupcakes, which is ranked at number 94, Beverly Hills’ famed Sprinkles Cupcakes at number 88 and Glendale’s Goodie Girls at number 41. Suite 106 Cupcakery is at 11920 Foothill Blvd. (at Rochester Avenue). Is your mom a cheap date? 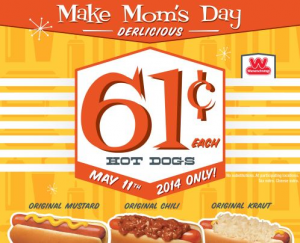 We found what we think is the cheapest place to take your mom for Mothers Day. The hot dog chain is offering 61¢ mustard dogs, chili dogs and kraut dogs on Sunday (May 11). For that price, you can splurge and also get her a card. You can sign it: Love, Your cheapskate.